To this end, her business planning tools and techniques outlined below inspired Vable to create a template business case. Often business planning and business cases require written preparation and a substantial investment of time by the information manager. Anything that can be done to ease this initial process is hopefully to be welcomed. A strategy/vision is one of the four critical components that create and sustain success in any ‘people’ business. The others are leadership/management, organisational effectiveness, and its people. However, planning is about making the strategy actually happen. Successfully so in many law firms’ cases - despite economic downturns, increased competition and a changing legal market. There is a link between business planning and success. 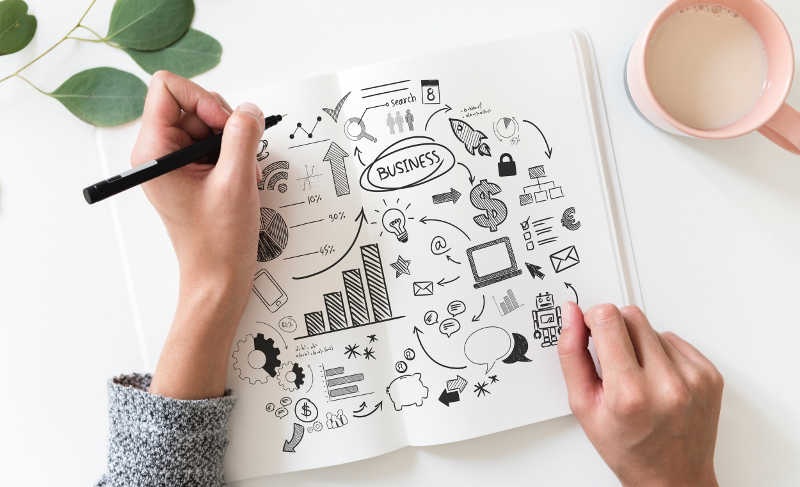 Claire stated that studies have suggested that entrepreneurs who create some form of business plan have almost double the chances of growing their business and investment. Traditionally, law firms have not been particularly entrepreneurial, but changes are afoot. Innovation is now leading the way in law; new visions and strategies are central to their firm’s plans. Clearly we need to be doing this too. In order to gain trust from management, we must be fully invested in the business and proactively preparing a plan just like they have. There are resources that you can use to benchmark against competitors; use your library skills! Claire suggested that professional contacts and networks such as BIALL, CLSIG, SLA etc are helpful, and some of these compile industry surveys regarding law firms and salaries. For internal purposes you can focus on your own clients and services by conducting audits and reviews. In order to think strategic as a service, you need to see where your plan fits within the firm. Her team got a ‘shout out’ at the firm’s AGM because management were so surprised and impressed with the thoroughness and commercial insight of the information service’s plan. Contents count - what’s in your business plan? Products & Services - what do you do? Ultimately though you have to find one that works for you, but take note that some entrepreneurs have announced the death of the lengthy 30+ page business plan. Managers are short on time, so make it pithy, visually engaging and easily maintainable. In light of this, Claire ended her piece with a stress on making your plan a living document. If business plans are about making strategy happen, business cases provide the real detail behind your well crafted plan’s bullet points. As such they are probably the hardest document to write because you are directly targeting your organisation’s senior business and finance teams. Demonstrating your serious intent to management is essential and a professional business case can help convince decision makers that they should back your proposed initiative. The document we have put together, although aimed at current awareness, takes you through the basic components. This includes a project overview, who is taking responsibility for what, how the project will strategically align with your organisation, as well as a Cost Benefit Analysis. Simply adapt the template to your needs and make it your own. All of these tips apply to any business proposal, you just have to be prepared to adapt and change your writing as required. It is not just about helping your team survive, but actually helping your business thrive.